House of Fraser is rolling out beacon-enabled mannequins that will allow the store to engage directly with shoppers or passers-by. The technology will be available in the retailers’s Online Store in Aberdeen from today, when it will also be rolled out by luxury shirtmaker Hawes & Curtis in London, and Bentalls department store in Kingston-upon-Thames. Technology company Iconeme, which launched the VMBeacon technology, says this is the first time beacons have been used in store mannequins. Shoppers within a 50-metre range will receive information from the mannequins, which may include details about the clothes on display, with links to make a purchase from a website, or details of where the outfit can be found in the store. Andy Harding, executive director for multichannel at House of Fraser, said the department store is always seeking ways to integrate new technologies to maximise customers' shopping experience. “With such demand from mobile devices, it is important we continue to bring new technology to our stores, and we believe the Iconeme app provides retailers with an opportunity to really engage with their customers,” he said. 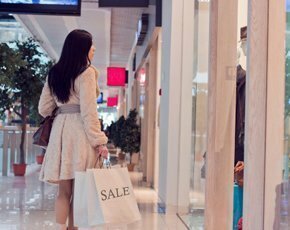 The technology will enable retailers to see analytic reports to gain customer insight and make improvements. Reports may include shoppers' details, including age and gender, location, outfits viewed, and whether a purchase was made online. Customers must download the Iconeme app for iOS and Android before retailers can communicate with them, but they can edit their privacy settings. Although the app will not be white-labelled for the launch, there is a possibility that retailers could brand the app to offer to customers in the future. Stores will be marketing the app to customers individually. Edward Smith, brand manager of Hawes & Curtis, said: “We chose Iconeme because we want to develop a greater engagement with our customers. Our visual merchandising team help bring our product to life in the windows and now we can have a better understanding of how this impacts the man and woman in the street. "Customers must download the Iconeme app for iOS and Android"